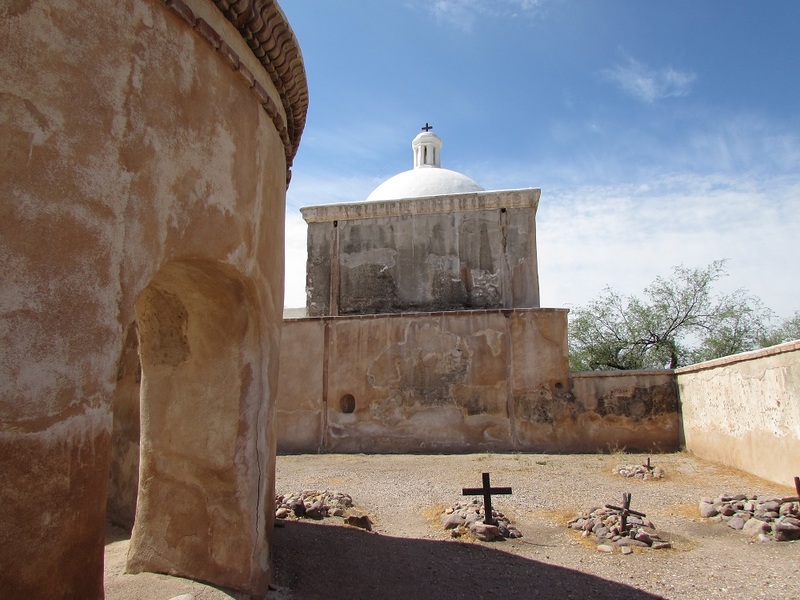 Tumacacori National Historical Park is the site of a mission founded in 1691 by Jesuit Eusebio Francisco Kino to minister to a community of farmers native to the area, called the O’odam. The Jesuits were chased out of the area by the forces of the Spanish king (for political reasons) in 1767 and the Franciscans took over. The Spanish Franciscans were kicked out of the area by the Mexicans in 1828. The Mexicans, O’odam and everyone else who had settled the area eventually were chased out by the Apache. By 1848, there was no one left at Tumacacori. I was there over the 4th of July weekend and it was hot. And empty. And hot. Really, really hot. When the Franciscans were still in charge, around 1800, they began building a large church. Made of plaster covered adobe by native and Spanish laborers, it was not quite complete — the bell tower still needed its cap — when the mission was abandoned. In 1912, President Theodore Roosevelt created Tumacacori National Monument, covering the area and what was left of the Franciscan church. The exterior of the church has been renovated — to keep out the elements — but the interior has been left in ruins (although cleaned of graffiti and other signs of vandalism). I think I’ve mentioned before that I have an unnatural fascination with ruins. So I dragged my 88-year-old father out in the 104 degree Arizona heat to indulge. Even park staff seemed surprised that we were there. 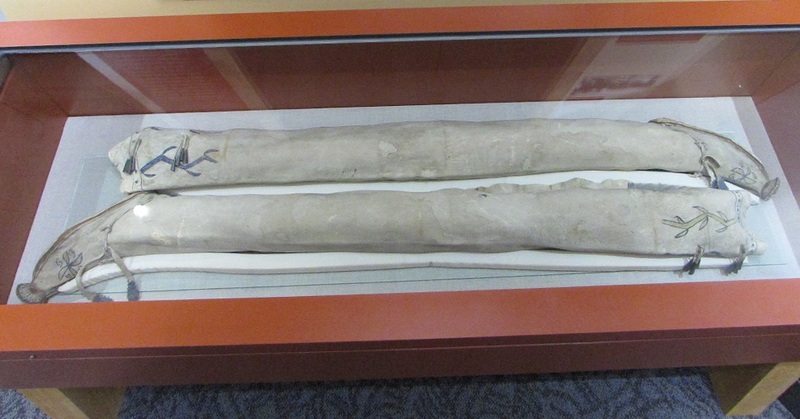 The park also has a substantive museum, with Native American and church-related artifacts. I was fascinated by these boots. Who has legs that long and thin? 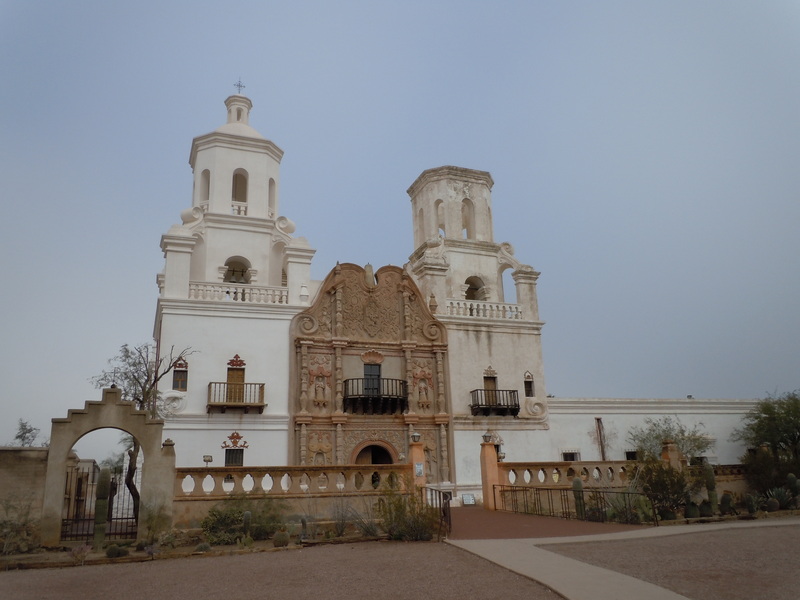 Forty miles north of Tumacacori is the better known and better preserved Mission San Xavier del Bac, also founded by Father Kino. 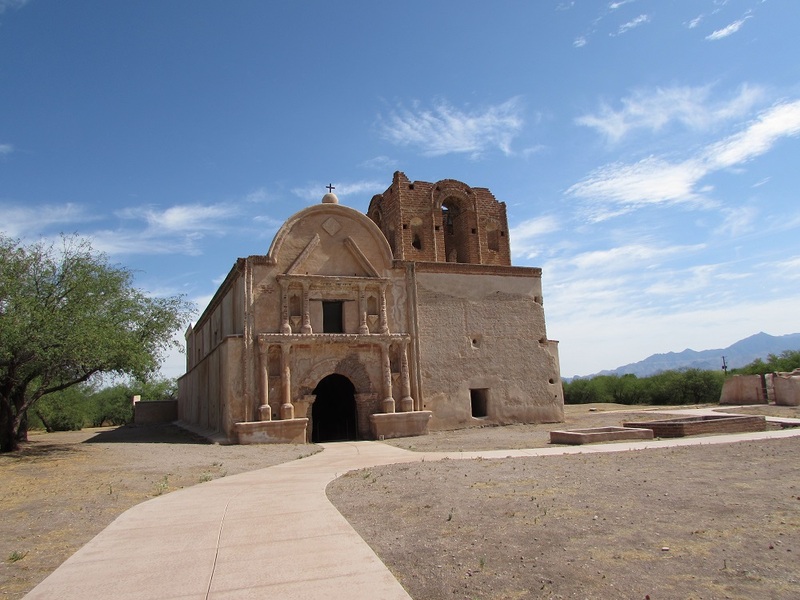 Protected by the troops stationed at Tucson from the Apache who put an end to Tumacacori, San Xavier is still an active Franciscan mission serving the Tohono O’Odham Nation. 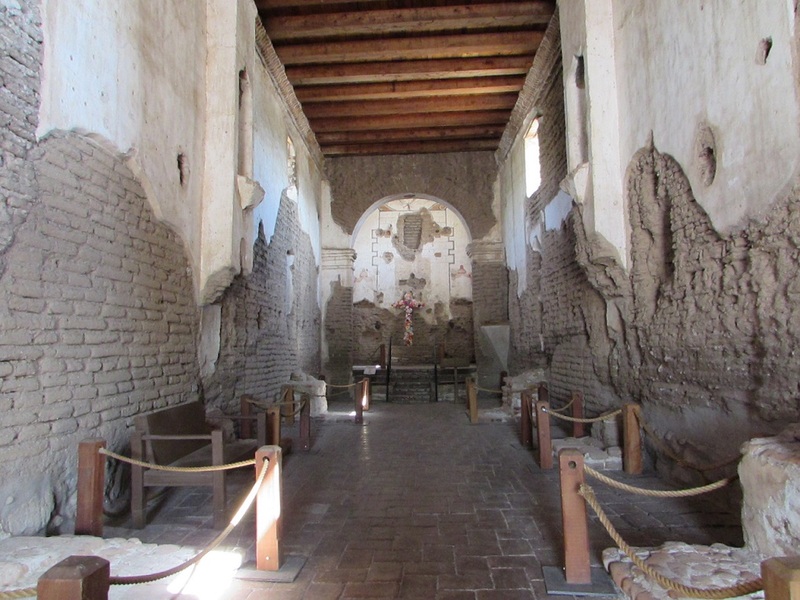 Some of the artifacts from the church at Tumacacori have found a home at San Xavier. Doing Tumacacori and San Xavier one after the other is recommended, to see the one that survived, and the one that didn’t. Gallery | This entry was posted in Arizona and tagged Father Kino. Bookmark the permalink. You picked a tough time of year to visit southern Arizona! A foretaste of global warming, maybe? Yes, summer in southern Arizona is not recommended. The rest of the year, though, is gorgeous. I think the pictures are great! Thanks. I loved the desert color palate — brown, white, green — of the area.